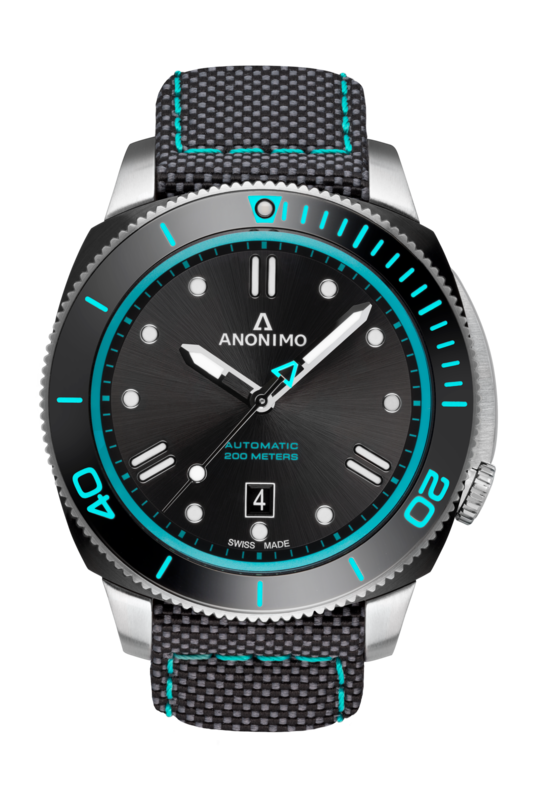 Anonimo is continuing its association with the Leopard Racing motorcycle and car teams into 2019 and its first watch revealed for 2019 will carry the team’s colours. The Nautilo Leopard diver-style watch will uses the same turquoise as the Leopard team on its bezel and dial details. It will be revealed in Geneva next month during the same week as SIHH. The Nautilo comes with a new bracelet that combines fabric with leather inserts in a nod to the racing suits used by Leopard riders. The 44.4mm watch comes in brushed and DLC-coated steel housing a Sellita SW200-1 movement.